Join us on August 18 at the Amana Furniture and Clock Shop in Amana, IA where we'll be demonstrating our Classic Workbench (which you can also buy and take with you) and our other tools in the new Amana Timber and Tools space at the Amana Furniture and Clock Shop. This is a soft opening featuring spectacular locally harvested Amana timbers from Tim Krauss of Amana Forestry. For those familiar with Handworks, this is the same space as the Furniture Shop, but backdated to the original look. 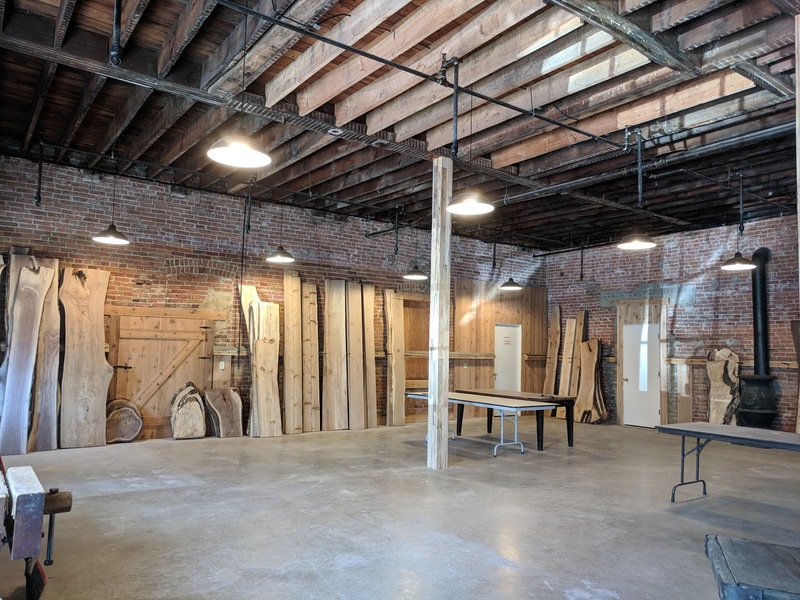 It's a very cool space now. 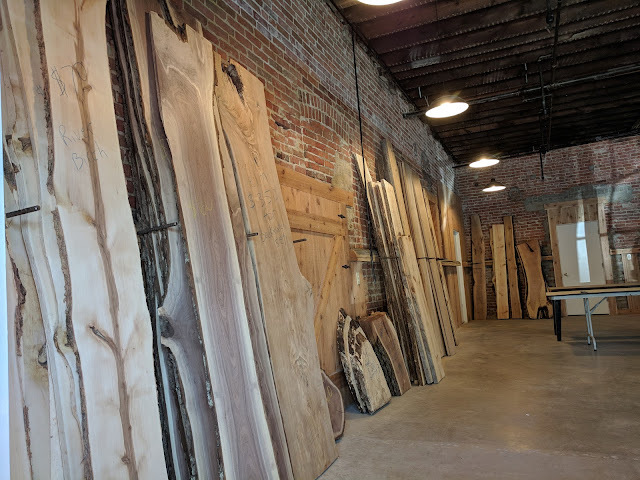 Eventually the Timber and Tools will have an extensive selection of local woods and an array of traditional hand tools for woodworking. 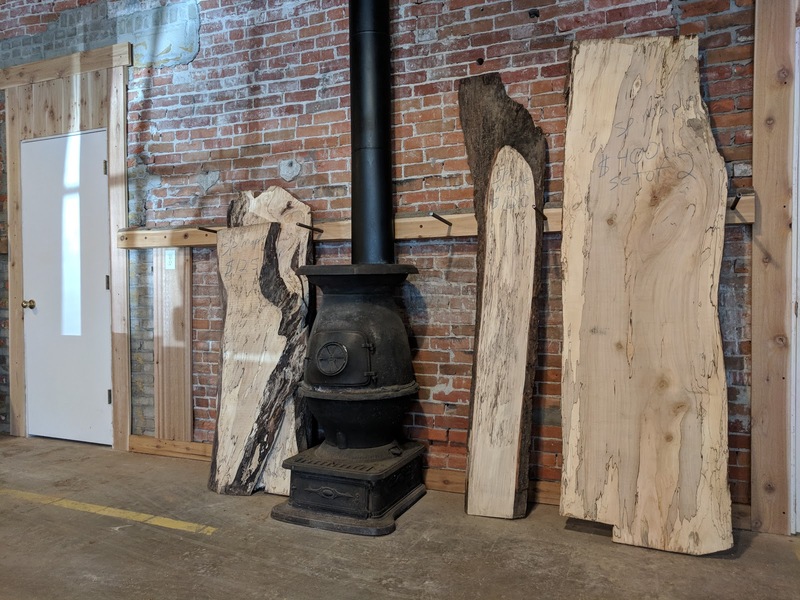 Right now, the space is filling up with lots of live edge spalted maple slabs, oak, walnut, cedar and sycamore. Pics below were just as they were moving in a few weeks ago. 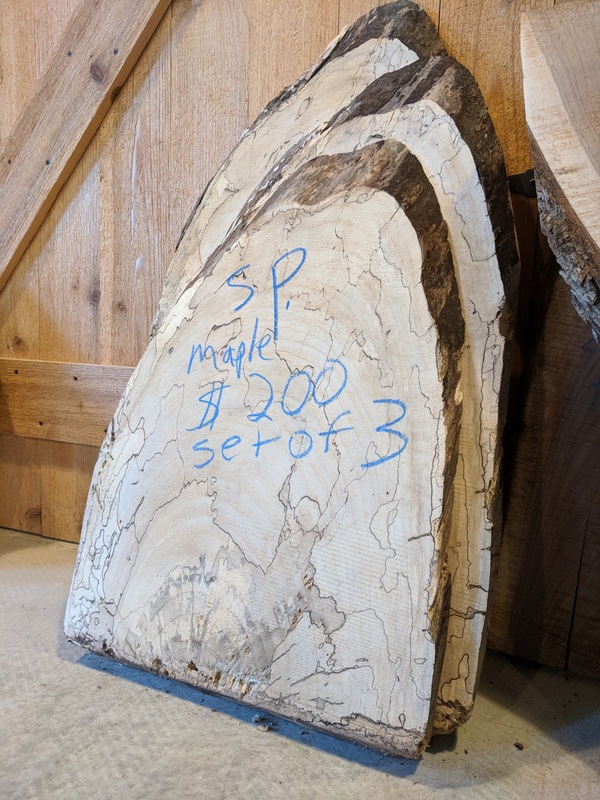 Tim and his crew are doing some amazing things with their spalting technique, be sure to check out the spalted sycamore, it looks like marble. We'll be demonstrating starting mid morning until 2pm or so. 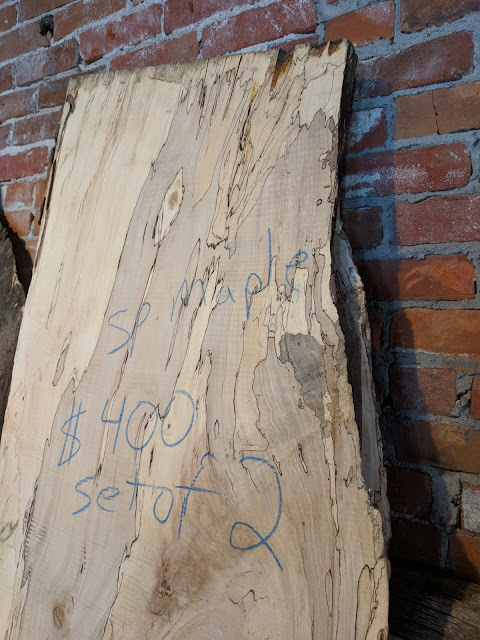 We'll have a few things for sale, stickers, vises, posters, plus the Timber and Tool will have lots of amazing wood to sell you. While you're in Amana, there's also Millstream Brewery, Amana Smokehouse and Meat Shop, Amana Woolen Mill, antique shops, museums, wine, food, gifts, and more. Saturday is also the gathering for the local Model A Club. The streets will be lined with Ford Model A's from the late 20's and early 30's. The first Amana ambulance (a Model A) will be present, which is owned by the grandson of the original owner. It still has its original paint and mohair interior, in remarkable condition.